Pope Francis on November 19, 2018, received Ms. Franziska Honsowitz-Friessnigg, ambassador of Austria to the Holy See, on the occasion of the presentation of her credential letters. 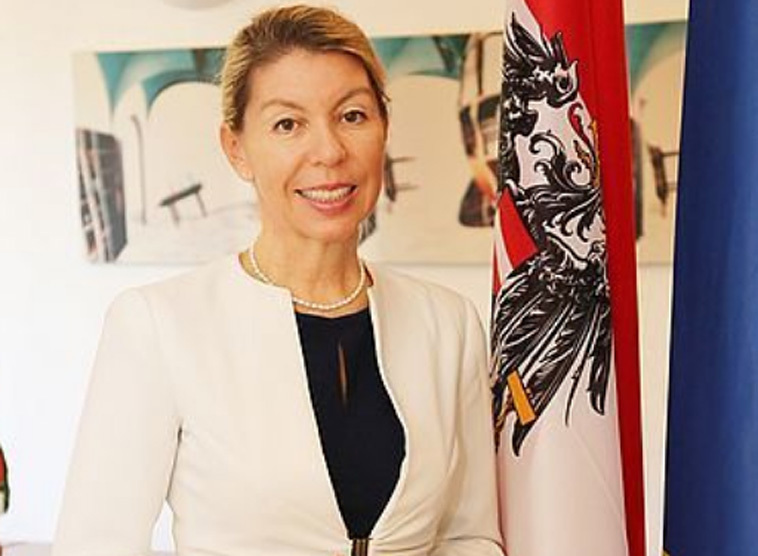 She is Austria’s first female ambassador to the Holy See. Ms. Franziska Honsowitz-Friessnigg was born on February 27, 1962, and is married with two children. She graduated in law from the University of Graz in 1984. She has held the following offices: official at the Federal Ministry of Europe, Integration and Foreign Affairs (BMEIA) (1984); official in the Department of International Organizations of BMEIA (1986-1987); Permanent Representative at the United Nations in New York (1987-1990); official in the Department of International Organizations of BMEIA (1990-1993); counsellor of the embassy in Bonn (1993-1997); official at the Department of Eastern Europe and the Western Balkans at BMEIA and deputy embassy representative for Caucasus and Central Asia (2004-2006); director of the Unit for Latin America and the Caribbean, and deputy director at the Department of America in Bethlehem (2009-2014); ambassador to Algeria (since 2017). She knows French, English, Italian, Spanish and German.